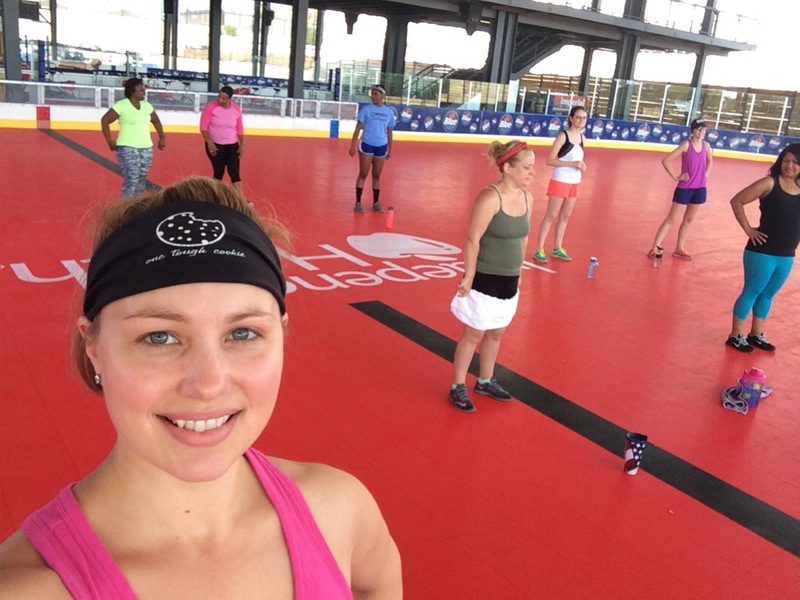 This summer, I signed up to help a fellow instructor teach a bootcamp class (Saturdays, 10-11am, Buffalo RiverWorks) as part of the Fitness in the Parks program through the YMCA. I’d heard about it last summer, but didn’t know about the program early enough to volunteer. Local friends: be sure to check out the schedule at the link and try a class at one of the many, MANY locations (like 18!) in the area. Classes include bootcamp, Zumba, yoga and more. Classes are free and open to the public. This morning, Renae, had us doing all sorts of interval workouts (like pause training, tabata and sprints) with different moves (walking lunges, skaters, burpees, etc…) for an hour. As a helper, I basically did the advanced form of the move in the front, while another helper did modified moves and Renae was able to move around the group to help instruct. 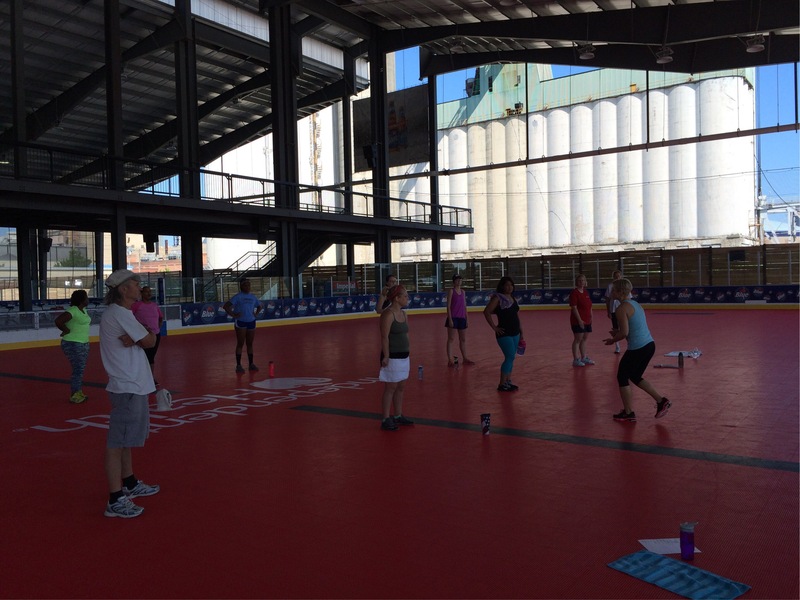 Our class happens to take place in a brand-spankin’ new facility, called Buffalo RiverWorks. It’s a beautiful area they’ve spruced up downtown near the water with ice skating rinks (obviously not in the summer, which is where our class is), a restaurant overlooking the river, a place to rent kayaks and more. Thankfully it’s easy to get to from the Y and has plenty of parking, and we’re in the shade with plenty of air flow. Come see me every Saturday this summer at 10 am! Posted on June 25, 2016 June 25, 2016 by thehealthypineapplePosted in @ the gymTagged bondi band, Buffalo RiverWorks, Fitness in the Parks, IndependentHealth, southtowns YMCA, YMCABuffaloNiagara. Next Next post: Bondi Bands ROCK!